Fabrics and embroideries. The comfortable costumes of the Gauls. 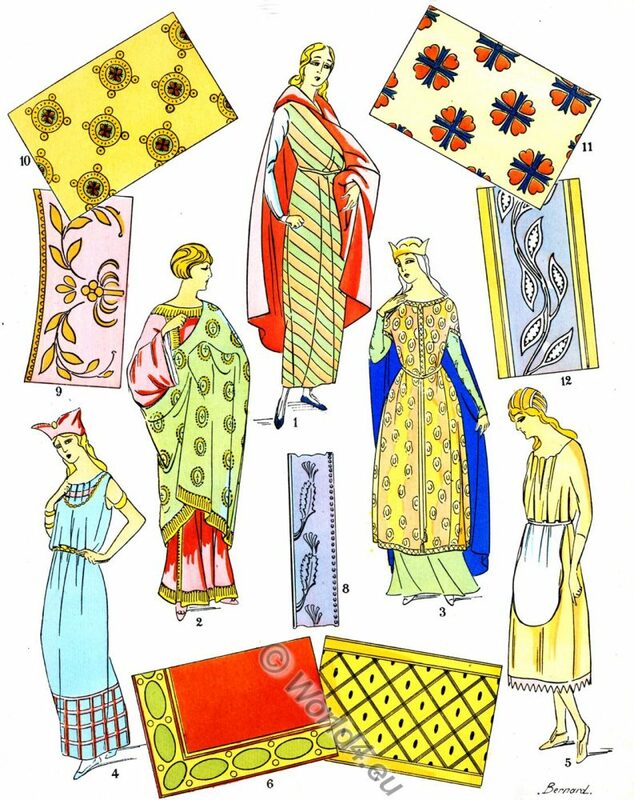 This entry was posted in 10th Century, 11th Century, 4th Century, 5th Century, Ancient, Celts, Court dress, Embroidery, Fabric, France, Gauls, Middle Ages, Nobility and tagged Embroidery designs, Historical Gaul costumes, Merovingian fashion and history, Paul Louis de Giafferri on 3/25/18 by world4. Basch Tshaousch, Kol Kiayassi. 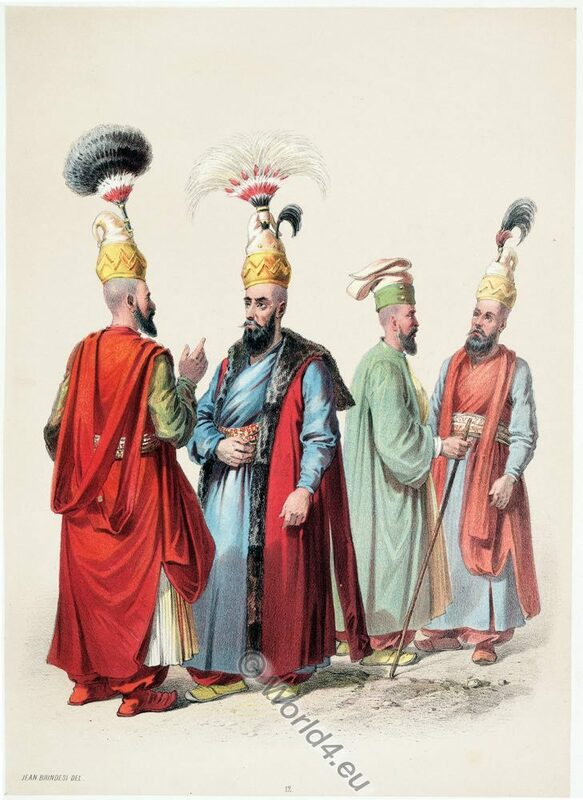 Costumes of the Ottoman Court. Basch Tshaousch, Kol Kiayassi, Capidji Baschi, Orta Tschaoushi. Basch Tshaousch. 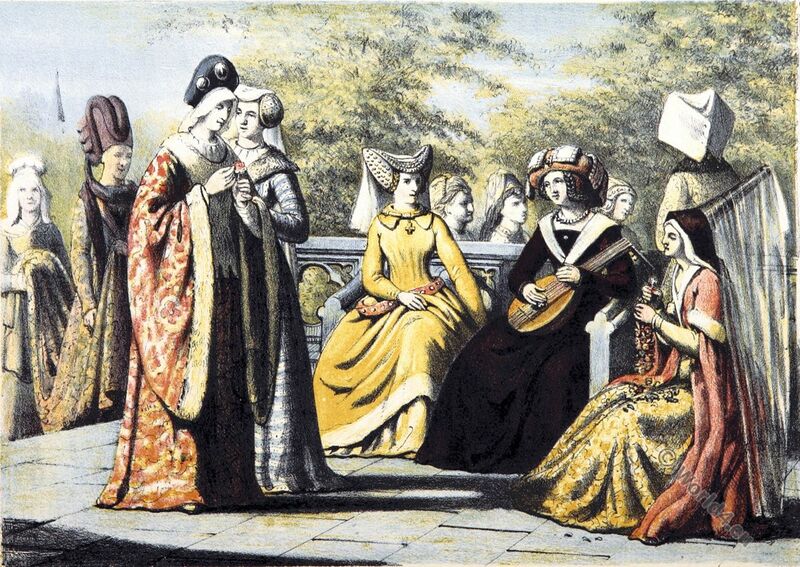 Costumes of the Ottoman Court, 1850. Various Ottoman functionaries and military personnel in their traditional costumes. 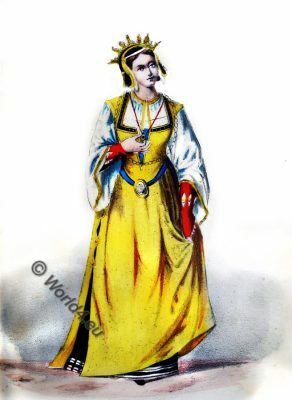 This entry was posted in 1850, 19th Century, Court dress, Ottoman Empire and tagged Jean Brindisi, Ottoman Empire costumes on 2/28/18 by world4. 13th century duchess costume. Middle ages. A YOUNG DUCHESS. THIRTEENTH CENTURY. 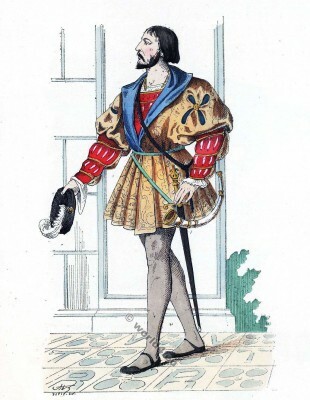 THE accompanying rich and elegant costume has been extracted from a picture by the Duc de Seyde, who died, in the flower of his years, a a victim to his passion for art. He was celebrated both as painter and engraver. At once the friend and rival of Albert Durer (1471 -1528), a noble emulation led them often to treat the same subjects, and the friendship which united them was expressed by a frequent interchange of their works. 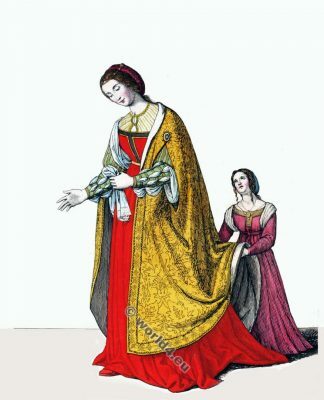 This entry was posted in 13th Century, Court dress, Italy, Middle Ages, Nobility and tagged Gothic costumes, Medieval costume on 6/15/17 by world4. Life on a castle. Ready to leave. 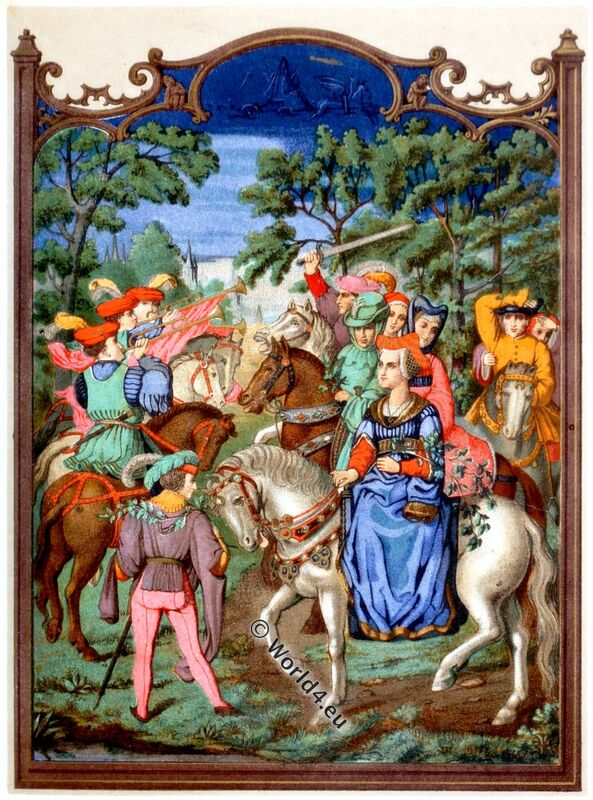 Chatelaine advances at the head of the procession. Mounted on a hatchet near by stands a page. On the right the lord dressed in green. Trumpet and bells lead the way. Miniature of the Breviary of Cardinal Grimani, attributed to Marciana Biblioteca of S.Marc, Venice. Fifteenth century. 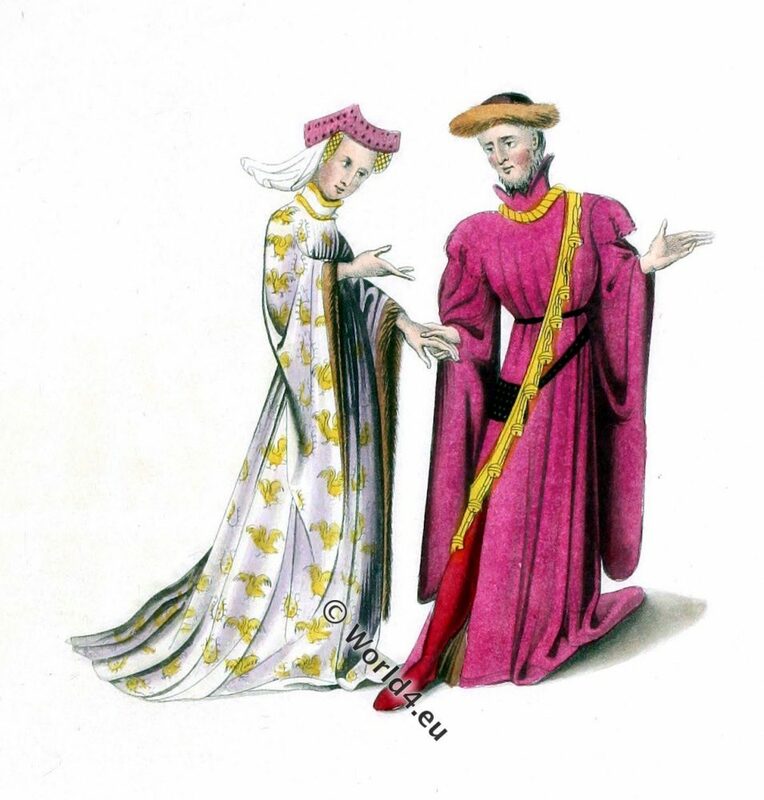 This entry was posted in 1510, 16th Century, Court dress, France, Middle Ages, Nobility and tagged Medieval costume on 3/30/17 by world4. 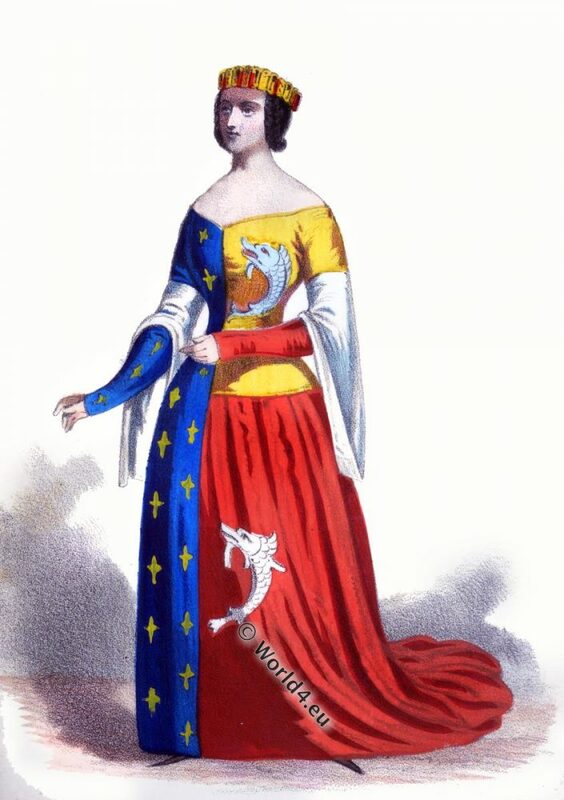 Jolie Femme vêtu d’une Robe d’un nouveau gout dit à la Diane. 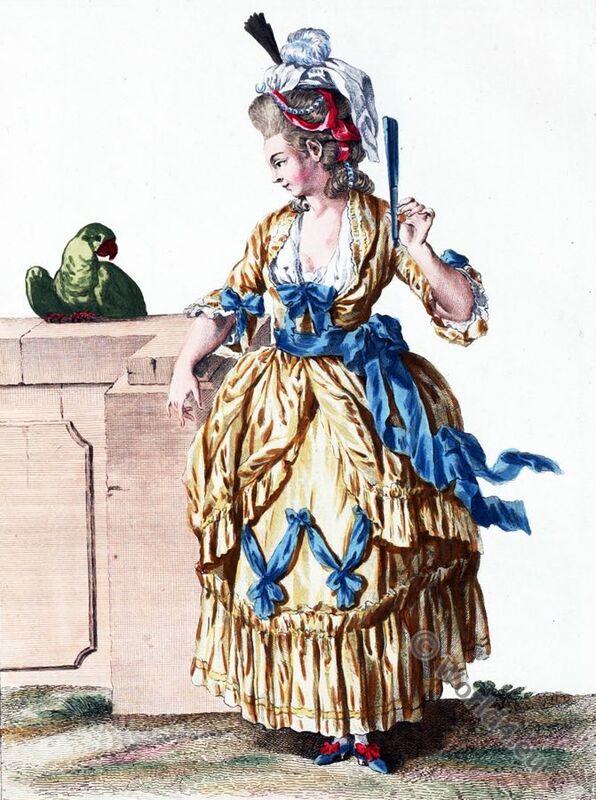 18ème siècle la mode rococo. This entry was posted in 1780, 18th Century, Ancien Régime, Court dress, France, Nobility, Rococo and tagged Collection d'habillements modernes, Rococo fashion on 10/24/16 by world4. 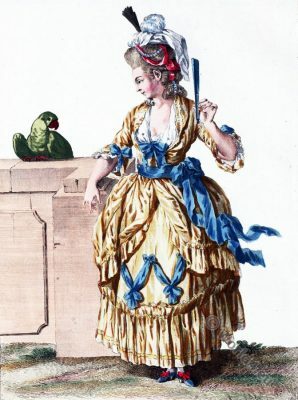 Marie de Medici in widow costume. Court Lady. Marie de Medici as widow. Gentleman, 1620. 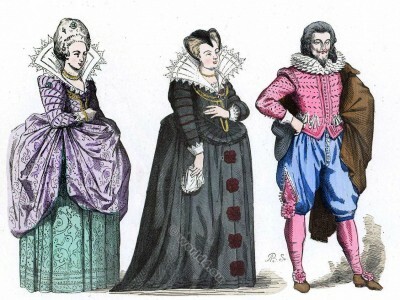 This entry was posted in 1620, 17th Century, Ancien Régime, Baroque, Court dress, France, Nobility and tagged Baroque fashion, Costumes civils et militaires des Français on 5/30/16 by world4. Gentleman of the court of Francis I. Gentleman of the court of Francis I. France 17th century. This entry was posted in 1615, 1620, 17th Century, Ancien Régime, Court dress, France, Nobility, Renaissance and tagged Costumes civils et militaires des Français, Renaissance fashion era on 5/24/16 by world4.